If the leaked information is correct, there will be just the one key difference between today's Kaby Lake-R chips and Intel's Whiskey Lake. While motherboard companies continue to outdo themselves releasing data on Intel’s upcoming 9000-series processors, HP has accidentally disclosed details regarding another of Intel’s upcoming chips: its “Whiskey Lake” notebook processors. As disclosed by Anandtech, the Whiskey Lake-U processors aren’t that different from the existing Kaby Lake-R chips that they’ll replace. In fact, the base clock speeds for the three chips outed by HP are essentially identical with the existing Kaby Lake-R chips. What Intel has done, however, is offer significantly higher turbo speeds as a way of differentiating the two families. It’s worth noting that “differentiation” continues to be an issue, as far as product numbers go. The three new Whiskey Lake-U chips—the 2.1GHz Core i3-8145U, the 1.6GHz Core i5-8265U, and the 1.8GHz Core i7-8565U—use similar product numbers to the 2.2GHz Core i3-8130U, the 1.6GHz Core i5-8250U, and the 1.8GHz Core i7-8550U Kaby Lake-R chips they replace. Cache sizes remain the same, according to the HP listing, Anandtech reports. Both the Core i5 and Core i7 have four cores, while the i3 has two. Here’s the difference: the turbo speeds, as indicted below. Intel doesn’t comment on unannounced products. And naturally, the offending HP spec sheet, governing its Pavilion x360 convertible, has been removed. 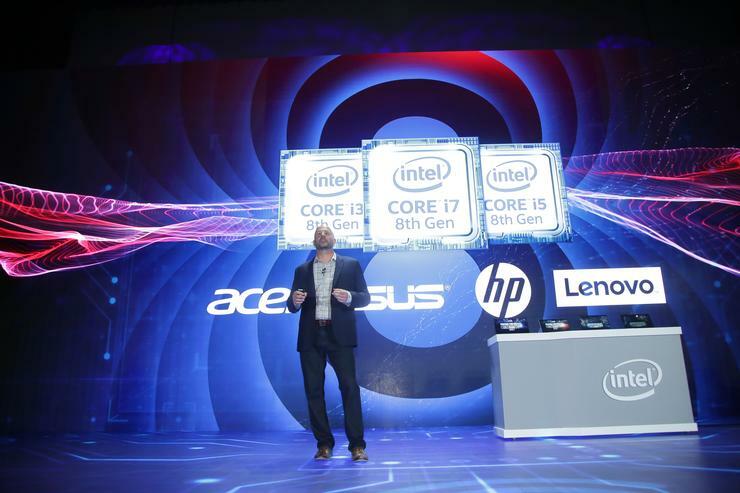 (Note that HP is listed as a launch partner as part of Intel’s Computex announcement of Whiskey Lake, above.) Intel has confirmed that the Whiskey Lake and Amber Lake architectures will ship by the holiday season, however. Both the current Kaby Lake-R chips and the upcoming Whiskey Lake chips are U-series chips, which typically consume about 15 watts. Amber Lake is a Y-series chip, aimed at ultra-low-power ultrabooks, usually in the 4.5-watt range. What this means for you: As Anandtech notes, the addition of turbo boost will certainly help in cases where a chip encounters a short-term, “spiky” load, where turbo boost can kick in and speed up operations for a short time. But under prolonged loads, you may be better off sticking with a Kaby Lake-R chip, as far as processing power is concerned.